The work of acclaimed photographer Gordon Parks is featured in a new exhibition at the Cleveland Museum of Art. Parks (1912-2006) was a self-taught photographer who become one of the leading photojournalists of his era, renowned for his photo essays for Life magazine. Later in his career, he became a filmmaker. His first feature, “The Learning Tree,” was selected for inclusion in the National Film Registry in its inaugural year, and his 1971 film “Shaft” became the blueprint for many of the blaxploitation films that followed in the 1970s. 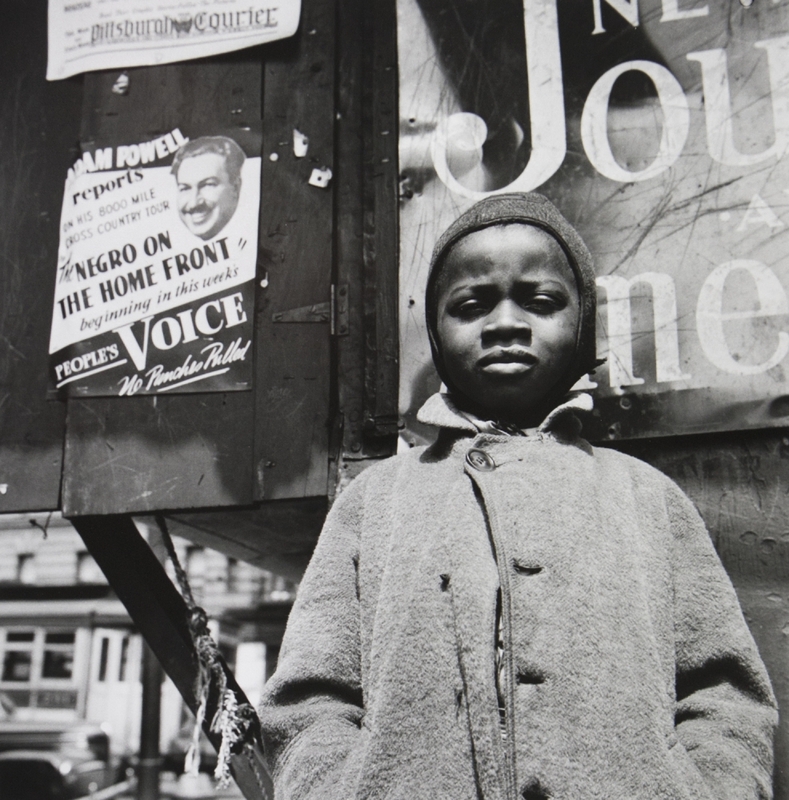 The CMA show, “Gordon Parks: The New Tide, Early Work 1940-1950,” focuses on the work he created at the beginning of his career and documents the importance of his early experiences in shaping his groundbreaking, passionate vision. Included alongside a number of individual images are the artist’s contact sheets, which contain prints of several negatives on a roll of film. Intended to allow him to quickly scan the results of a shoot and easily share them with photo editors, the contact sheets offer viewers unique insight into Parks’ working practice and thought process. The exhibition runs through June 9 in the museum’s Kelvin and Eleanor Smith Foundation Exhibition Gallery.